Congress returns after Labor Day, following a month-long recess, and members will be facing a load of must-pass legislation. 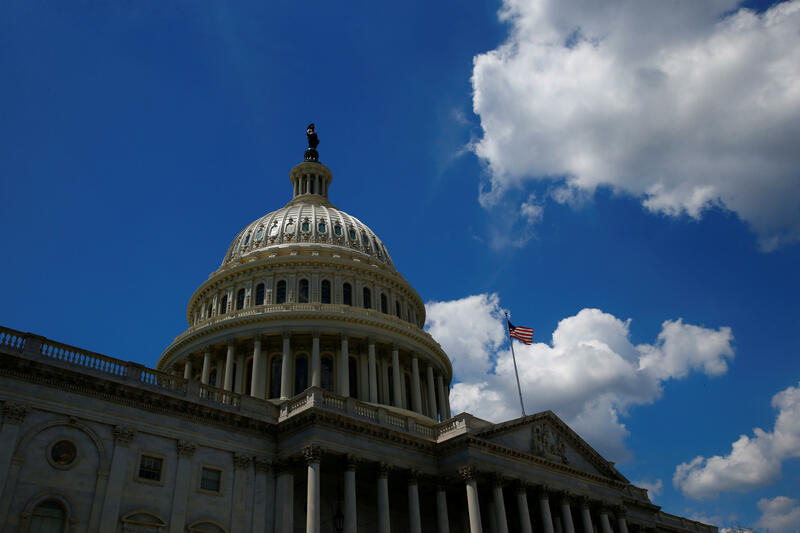 First, lawmakers face a Sept. 30 deadline to pass a new government spending package for the next fiscal year and avoid a shutdown. Then, they'll have to grapple with raising the debt ceiling and preventing a default on the nation's debt. Also, funds for other programs like the Children's Health Insurance Program (CHIP) that provides health insurance coverage for 9 million low-income children are set to expire and need to be reauthorized by Congress. Passing a budget resolution, tax reform, an infrastructure package and renewing the Obamacare repeal-and-replace effort are also on the list of things Congress wants to pass, but they're not required -- they are only supplemental items on the Republican agenda. It's unclear if Congress will have enough time or energy to tick them off the list. Congress must pass a new government funding bill by Sept. 30 to prevent a shutdown on Oct. 1, which is when fiscal 2018 begins. In previous years, because of the limited amount of time on Capitol Hill in September, lawmakers have been forced to pass a continuing resolution (CR) to keep the government running on current levels for a few more months. Budget experts and congressional aides expect Congress to follow that same pattern this year, likely punting the debate over 2018 funding into December. If lawmakers want to lift spending levels for the military and domestic programs like those within the Department of Homeland Security and Department of Veterans Affairs, they'll have to pass a budget deal to raise spending caps set by the 2011 Budget Control Act. Congress has twice raised these levels -- in 2013 and 2015 -- with the first being negotiated by Paul Ryan, who then chaired the House Budget Committee. A fight over border wall funding is more likely to play out in December when a more comprehensive negotiation over government spending could take place. A shutdown is not necessarily out of the question, even though Republicans control the House, the Senate and the presidency. The president himself threatened a "good shutdown" earlier this year. However, Bill Hoagland, senior vice president at the Bipartisan Policy Center, said shutting down the government is not a "good political decision," especially since Mr. Trump promised his base that Mexico would pay for his wall. He considers it a lose-lose situation for the president. "I think this would blow up in his face if government shutdown took place or the federal government didn't appropriate money for his wall," Hoagland told CBS News. The Podesta Group's Jim Dyer, a principal who specializes in budget and appropriations, said if Republicans are smart, they would move all of the "hot-button items" to a comprehensive negotiation later in the year, when lawmakers are "not going to get everything [they] want, but [they're] going to give and get at the same time." Lawmakers will likely have to raise the debt ceiling by the end of September as several think tanks and government agencies have eyed the beginning to middle of October as the drop-dead deadline. The White House has signaled that it wants no drama surrounding this vote -- Office of Management and Budget Director Mick Mulvaney called for the "cleanest possible" debt limit increase earlier this month. Congress might attach a clean debt limit increase (i.e., an increase with no strings attached) to a CR and suspend it for a few years as it's done in previous situations, or suspend it for a few extra months to allow for a more comprehensive negotiation over the federal budget and debt. Lifting the debt ceiling may not necessarily be as simple as it sounds. Conservatives like members of the Freedom Caucus in the House are expected to vehemently protest a "clean" increase when lawmakers return to Washington. Congress faces a Sept. 30 deadline to approve new legal authority for CHIP funding. The Kaiser Family Foundation projected in May that if lawmakers don't extend the funding, then all states would exhaust all of their federal funds for the critical program in fiscal 2018, which begins Oct. 1. In the last fiscal year, Kaiser Family Foundation said CHIP provided health insurance to 9 million children in families who earn too much money to qualify for Medicaid but don't usually have access to affordable coverage. President Trump's 2018 budget blueprint proposed reauthorizing CHIP funding for two years, but called for funding cuts that would result in a net saving of $5.8 billion over a decade. He also asked Congress to cap the eligibility levels for the program. The White House is hoping that the House passes an overhaul of the tax code in October, with Senate passage in November. While some key Senate Republicans want to tackle the issue on a bipartisan basis, Senate Majority Leader Mitch McConnell, R-Kentucky, however, ruled that option out before August recess. He said that the GOP-controlled Congress would take it up using the budget reconciliation process as they attempted with health care. The process allows for certain legislation to pass in the upper chamber with 51 votes rather than 60 votes. "We will need to use reconciliation because we have been informed by the majority of the Democrats in a letter I just received today that most of the principles that would get the country growing again, they are not interested in addressing," McConnell told reporters earlier this month. The president has urged Congress over August recess to continue working toward repealing and replacing the 2010 health care law, even blasting McConnell for his inability to pull off that effort earlier this summer. While McConnell has left the door open to revisiting health care, few Senate Republicans have the stomach to return to it. In early August, Sen. Orrin Hatch, R-Utah, said Senate Republicans are not going to return to health care in the fall and will instead focus on tax reform. The National Flood Insurance Program, which is run by the Federal Emergency Management Agency (FEMA), is scheduled to run out of funding at the end of September. The program was created by a 1968 law and is part of the federal government's effort to limit damage created by floods such as the aftermath of Hurricane Katrina in 2005 or Superstorm Sandy in 2012. Lawmakers want to reform the program, with some Republicans in the House proposing plans that would lead to the program's privatization. A bipartisan bill was introduced in the Senate last month that would extend the program's authority for six years. Congress faces a Sept. 30 deadline to reauthorize the Federal Aviation Administration (FAA), which is must-pass legislation. Lawmakers last passed a bill to keep the agency operating in July 2016. President Trump and some Republicans on Capitol Hill are interested in separating air traffic control from the FAA and transferring their operations to an independent outside agency. Democrats would likely oppose this plan if it comes to the floor of either chamber.